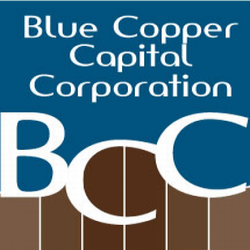 Founded in Alberta during the summer of 2006, Blue Copper Capital Corporation started as a small loans company dealing with friends and associates. Today it is a diverse financial company specializing in loans for individuals that range from $100 – $30,000.00. Our success is based on personal attention, coupled with open minded lending at reasonable rates.